Replaces pintle hitch. 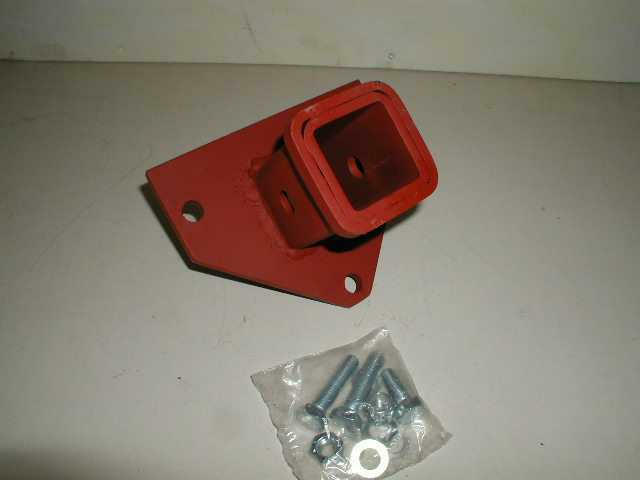 Direct bolt on replacement allows use of a 2" receiver. No modifications required. Black in color. Call for current availability. I couldn't wait to get this on the truck and save my knees/shins! The ability to remove your tow assembly and add a shackle setup or carrier system is invaluble. This little Gem was just what I needed. It allowed me to tow other vehicles, trailers, and use a custom ring insert for pulling all of the local "Stuck Junkies" out of the mudholes that they tried to make it through. The stock pintle would have required a change to lunette rings on all of my equipment and toys. The one additional item I purchased to go with this was a receiver insert to mount a standard pintle. That way I was covered no matter what.